Phentamine HCL is a diet pill available on Amazon and someone deserves a prize for making it so easy to confuse its name with the prescription only weight loss drug, Phentermine. Giving pills names that sound like a drug that many dieters are desperate to get hold of is common practice these days, and dieters who purchase a supply of Phentamine HCL are told to expect a weight loss of up to 25 pounds in four weeks (when used with diet and exercise). Phentamine HCL is not all it seems to be though. Several other diet pills use the same formulation and it appears to be a white label product that anyone can purchase and distribute under their own brand name. When they are housed in a bottle bearing the name Ultimate Burn the pills are marketed as a fat burner for men, but when the Skinny Minnies Boost and Burn label is affixed to the bottle they are sold as a fat burner designed for women. What is Phentamine HCL 37.5 and How Does it Work? 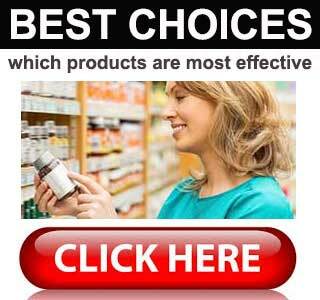 If the pills work in the desired manner, they will control hunger urges and help dieters to eat less food. This will result in a lowered calorie intake throughout the day and the resulting energy deficit should necessitate the burning of body fat. Phentamine HCL is also designed to boost the metabolism and enhance the fat burning process. 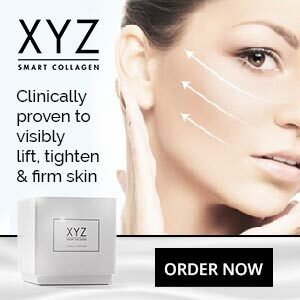 The formulation contains several stimulants as well. These should be useful for keeping energy levels topped-up and preventing fatigue. The flip-side is their presence may also make the formulation unsuitable for people who do not tolerate stimulants well. Phenylethylamine HCI: Believed to be capable of improving mental focus and increasing energy levels. Glucomannan: A powerful appetite suppressant that offers no value here because the inclusion rate could not possible be high enough to provide the necessary 1000mg dose. Fursultiamine: A compound derived from thiamine. It is alleged to be an energy booster, but its abilities need further exploration. L-Tyrosine: This ingredient is believed to boost mental focus, but a high dose is required. Green Tea Extract: The fat burning abilities of green tea have been proven by many scientific studies. After one study, conducted in Europe, the researchers concluded: “Green tea has thermogenic properties and promotes fat oxidation beyond that explained by its caffeine content per se”. Raspberry Ketones: The results of study carried out by a team of researchers in Korea shows raspberry ketones can be effective for improving lipolysis and fatty acid oxidation. Yohimbe: The results of one study suggest supplementation with yohimbe may result in fat burning, but they also suggest it may only prove efficient for “elite athletes”. L-Carnitine: A clinical trial carried out in Italy suggests the claims made for L-Carnitine’s ability to enhance fat burning abilities are true. They also show it may have value as a fatigue-fighter. Synephrine HCL: A powerful fat burning stimulant with a good reputation for getting results. Kola Nut: The fruit of the Kola tree and one of the original ingredients used in coca-cola. It’s added here as a caffeine provider. One capsule every morning is all that is needed. Supplementation has to be ceased after 8 weeks, but can be restarted after 14 days have passed. Phentamine HCL 37.5 is not intended for anyone under 18-years of age and should not be used by expecting or nursing mothers. People with existing health problems would be wise to get their doctor’s advice before taking any pills. The same holds true for anyone using prescription or over the counter medication. Phentamine HCL 37.5 is only available from Amazon, but it was out of stock at the time of this review. 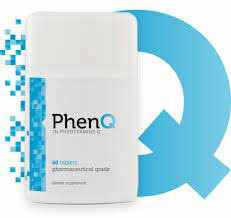 Phentamine HCL 37.5 is backed by a 90-day money back guarantee. This diet pill that goes by a multitude of names will likely be capable of supporting the weight loss process, and its great to see a money back guarantee, but customer reviews suggest it does not work for everyone and the level of stimulation offered may mean the punch it packs could be too powerful for some people to take. If you are unusually good with stimulants, by all means give it a go. If you are not, you may want to think about using a different product instead.